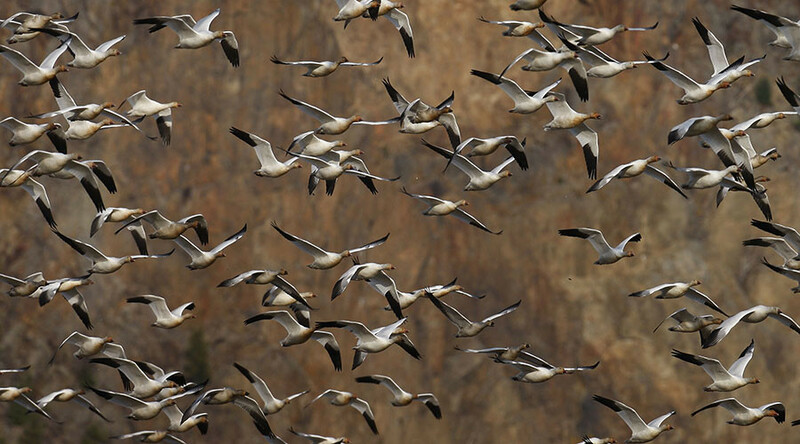 Thousands of snow geese died after landing in the toxic waters of an old open-pit copper mine in Butte, Montana. The migrating birds were forced to land in Berkeley Pit on November 28 by severe winter weather. Mark Thompson, environmental affairs manager for mining company Montana Resources, said that it looked like “seven-hundred acres of white birds” had landed, AP reported. Some 2,000 to 5,000 migratory birds normally appear in the area every year, but one estimate from an off-duty Montana Resources employee put this year’s number at no less than 25,000. 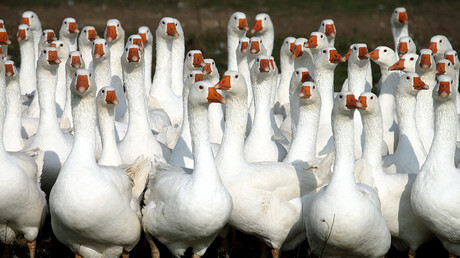 Workers from Montana Resources and Atlantic Richfield (ARCO) – both of which are responsible for the pit – attempted to scare off the geese that landed with spotlights, noise makers, and other means, while trying to prevent others from landing. Still, thousands reportedly died from contact with the metal-laden waters, according to estimates gathered from drones and aircraft. The old mine pit, which is about one mile (1.6 kilometers) long by half-a-mile (.8 kilometers) wide, holds about 45 billion gallons (175 billion liters) of toxic water. Thompson said that federal and state agencies are still trying to determine the exact number of dead geese. Montana Resources and ARCO could be fined if the Environmental Protection Agency (EPA) determines that the companies had been out of compliance with the pit’s bird hazing program, which was developed after 342 birds died after landing in the pit’s waters in 1995. 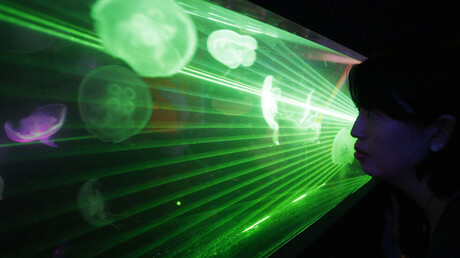 However, Thompson said he was confident that the companies’ measures are adequate. Originally opened in 1955, Berkeley Pit is a former copper mine that was closed in 1982. The waters of the open pit contain heavy metals and dangerous chemicals, including copper, arsenic, cadmium, zinc, and sulfuric acid.